Former Congressman and current Fox News contributor Jason Chaffetz explains how we ended up with a politicized federal bureaucracy that actively works to promote the Democrat party agenda and undermine Donald Trump. The liberal media loves to characterize the Obama years as free of scandal. They pretend this is true because virtually every office in the executive branch worked to withhold evidence of wrongdoing, silence witness testimony, destroy federal records, classify embarrassing information, and retaliate against truth tellers. Yet these same tight-lipped lifers leaked like a sieve once President Trump was sworn in, freely promoting the illusion that everything he does is the new Watergate. Sometimes even conservatives portray the Deep State as nothing more than dumb inefficient bureaucracy. In fact, it's the opposite; the Deep State is intentional, unconstitutional, and organized. In Deep State, Jason Chaffetz reveals an entrenched leadership within the civil service that resists exposure, accountability, and responsibility. At the highest levels, they fight back, outlast, and work the system for their own advantage. And they certainly don't like disruptive forces such as Donald Trump. As Chairman of the House Oversight Committee, Chaffetz was the tip of the spear challenging the Deep State and trying to hold them accountable. He and his colleagues took on the powerful forces at the IRS, the EPA, the DOJ, the Department of State, and more. The deeper he dove in, the more shocking he found the brazen approach by the power brokers. The balance of power has shifted. The Deep State has gotten used to operating anonymously and without consequence. This is a problem bigger than we can even imagine and getting worse. Unless we do something dramatic to wrest back control, we risk losing the ability to successfully challenge wrongdoing by the most powerful bureaucracy in the world. 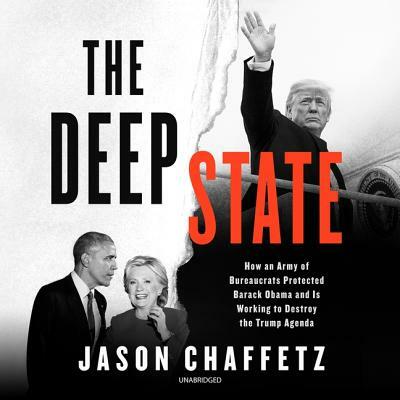 In Deep State, Chaffetz highlights the Deep State's tactics, illuminates the problems, and offers a way to fight back and win. It is important to expose the stories, but if the American People are going to win, Congress is going to have to do things differently. This book helps the concerned citizen understand what must be done--so they can demand real change.